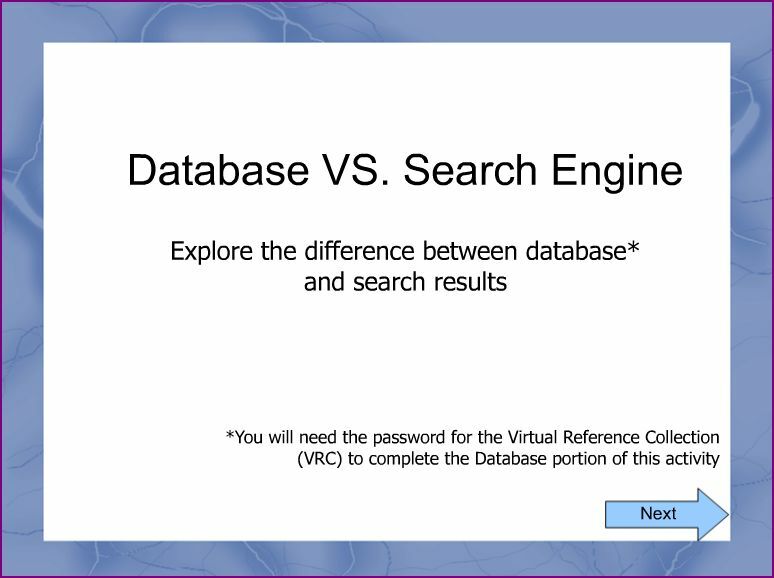 Summary: Difference Between Search Engine and Database is that a search engine is helpful in locating information for which you do not know an exact Web address or are not seeking a particular Web site. While a database is a collection of data organized in a manner that allows access, retrieval, and use of that data. In a manual database, you might record data on paper and store it in a filing cabinet. A search engine is helpful in locating information for which you do not know an exact Web address or are not seeking a particular Web site. Some search engines look through Web pages for all types of information. Others can restrict their searches to a specific type of information, such as images, videos, audio, news, maps, people or businesses, and blogs. Search engines require that you enter a word or phrase, called search text, that describes the item you want to find. Your search text can be broad, such as spring break destinations, or more specific, such as Walt Disney World.One way to use the Google search engine to search for the phrase, Aspen Colorado ski resorts. The results shown include nearly 150,000 links to Web pages, called hits, that reference Aspen Colorado ski resorts. Each hit in the list has a link that, when clicked, displays an associated Web site or Web page. Most search engines sequence the hits based on how close the words in the search text are to one another in the titles and descriptions of the hits. Thus, the first few links probably contain more relevant information. A database is a collection of data organized in a manner that allows access, retrieval, and use of that data. In a manual database, you might record data on paper and store it in a filing cabinet. With a computerized database, the computer stores the data in an electronic format on a storage medium such as a hard disk. Database software is application software that allows users to create, access, and manage a database. Using database software, you can add, change, and delete data in a database; sort and retrieve data from the database; and create forms and reports using the data in the database.